Reader SDK must be authorized to collect payments. 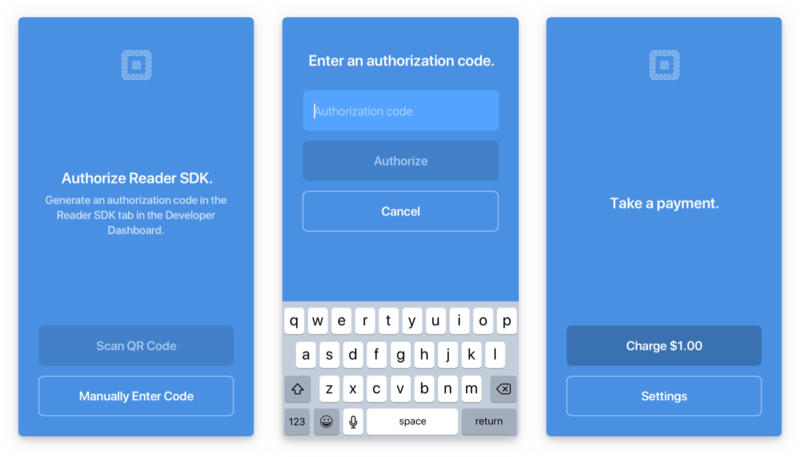 To get started quickly, click "Generate Mobile Auth Code" on the Reader SDK settings page of your Reader SDK Example application. Build and run your app on a virtual device (Android Emulator or iOS Simulator) and grant any device permissions requested. 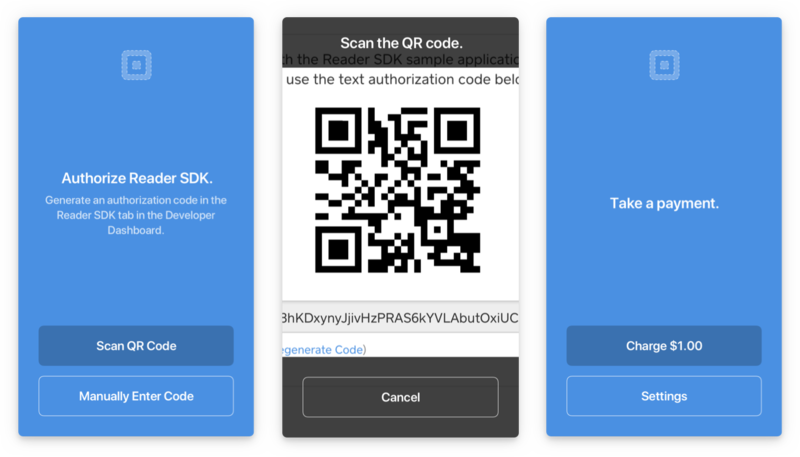 Go to the Reader SDK page in your Square application settings and generate a new mobile authorization code by clicking "Generate Mobile Auth Code". Copy the mobile authorization code string from the Square application settings page. Open the Reader SDK sample app. Tap "Enter Code Manually" in the sample app. Paste the mobile authorization code into the field provided. Tap the "Charge $1.00" button to complete a cash transaction. View the transaction details in Square Dashboard. Before building the sample app, open the General tab for your app target and change the Bundle identifier to a unique string. We recommend appending .YOUR_NAME to the existing ID. Apple registers bundle IDs to developer accounts when building apps to a device from Xcode. The bundle ID in the sample app is already registered to Square so you must change it or you will get an error that the ID is already taken. Build and deploy the sample app to a physical device. If you run into difficulty deploying the app to a physical device, see Run an app on a connected device for Xcode and Run your app for Android Studio. Grant any device permissions requested. Tap "Scan QR Code" in the sample app and grant the app Camera permissions. Scan the QR code from the Square application settings page. You can also request a mobile authorization codes programmatically through the Mobile Authorization API.